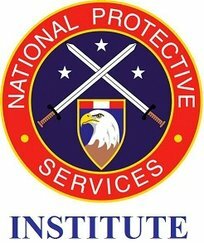 The National Protective Services Institute (NPSI) is approved to offer Certificates and Advanced Certificates in Security Management by the Texas Workforce Commission. NPSI is also approved to offer Continuing Education Units (also called Continuing Education Credits) for a variety of organizations. NPSI is not, however, currently accredited by an accrediting agency recognized by the U.S. Department of Education. An institution must be in operation for a minimum of two years before beginning the process to apply for accreditation, and it can take as long as eight years to finish the process. NPSI officially began conducting academic classes in the Fall of 2016, and plans to apply for accreditation as soon as allowable. NPSI will not take the “easy road” of seeking accreditation through an illegitimate accrediting agency. For further information about accreditation, please visit: The Council for Higher Education Accreditation (CHEA) at http://www.chea.org , The Texas Higher Education Coordinating Board (THECB) at http://www.thecb.state.tx.us , and the US Department of Education (USDE) at http://www.ed.gov. These resources discuss legitimate accrediting agencies recognized by the US Department of Education, as opposed to “accrediting mills” which will issue accreditation to any “school” willing to pay a certain amount of money (the CHEA website has more information about “accrediting mills”). NPSI plans to pursue accreditation through one or more of these listed legitimate agencies. Why study at NPSI before accredited? The benefits of studying at NPSI at this time are immense. First, the tuition is substantially lower than at an accredited institution, and will significantly increase upon accreditation approval. However, currently enrolled students will maintain their original tuition rate through degree completion. Second, the educational standards are high, and students will be able to gain the requisite knowledge to enter the professional protective services field. Third, all discipline-specific NPSI classes result in the award of continuing education credits. Other academic institutions may or may not accept credit from the NPSI, even after accreditation has been granted. It is important to check with each institution to which you are interested in transferring prior to pursuing any academic classes or training with NPSI.